This complete sensory journey uses exclusive seaweed based products for its treatments. Seaweed contains rich sources of natural minerals, containing traces of many vital elements, antioxidants as well as vitamins A, B complex, C, D and K to help nourish, replenish the skin and help ward off free radicals. Ocean Odyssey begins with a footbath ritual, application of cooling seaweed mask, signature Taman Air Spa massage, a cleansing seaweed body scrub, and at the end enjoy the sensation of a flower bath ritual. Revive your body and face, Glow with grace! A luxurious massage will answer this need. Start with a Lemongrass Foot Bath, then pick one of our Traditional Massages to reach the balance of your body, mind and spirit. . Then nourishing your skin with Organic Avocado Mask and moisturize your hair with Organic Avocado Hair crème bath. Finish your treatment with our Flower bath in luxurious jacuzzi and Silky Avocado Body Cream to moisturize your skin all over. Enjoy the famous powers of traditional Lulur, a treatment with its origins in the royal courts of Java used for centuries to soften and cleanse the skin. Start with Lemongrass Foot Bath, followed by a Lulur Body Scrub using the seductive combination of spice leaves the skin soft, supple and shining.Then recharge your body with the ultimate Full Balinese Body Massage using moisturize Virgin coconut oil to loosen up your tense muscle and joints Finish with Flower Bath and organic waterlily body cream. Indulge yourself in a treatment to breathe new life into your whole being. Start with Lemongrass Foot Bath, recharge your body with the ultimate Full Body Massage using moisturize Avocado oil to loosen up your tense muscleand followed by a Full Body Scrub using Organic Avocado treatment of your choice. Finish with Flower bath and silky Organic Avocado body cream to moisturize your skin. 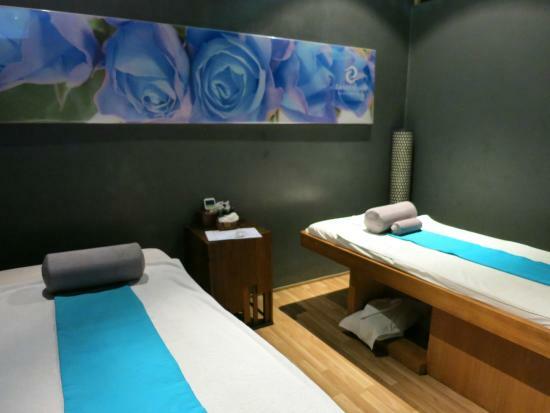 When you have too much Bali Sun , we have a relieve and healing treatment in Taman Air Spa. Using a soft and moist olive green clay to absorb the heat from your skin and aloe vera cooling gel to release the pain.Suitable and recommended to most sensitive and sunburnt skin. Geologically the Dead Sea is the lowest point on the earth’s surface, forming a natural trap for rich mineral deposits, trace elements and plant extracts. Dead Sea mineral mud will cleanse and purify your skin, allowing it to absorb moisture, leaving your whole body looking radiant and refreshed. Indulge in this exclusive body treatment to sooth your skin using the best wine in Bali.After a relaxing body massage, green tea body scrub will exfoliate dead skin cells. Then a rich wine body mask is applied to sooth your skin. Ending with siping fresh Bali wine in your Jacuzzi. Organic honey has been used as a beauty product since the days of Honeymilk, and is a natural humectant, which means it has the ability to attract and hold moisture, retaining it in the skin to maintain softness, suppleness and n elasticity, thus reducing wrinkles and preventing dryness. Allow this treatment to give you back your shine. It begins with a Lemongrass Foot Bath, followed by an Ultimate Full Body Massage to give you a Recharge. Then a Nourishing Organic Body Masker to nurture your skin.Then pamper yourself in a luscious Cleopatra’s Elixir Milk Bath in a luxury jacuzzi . then energized your mind with Shirodara Lastly, an Ultimate Hair treatment with Organic Avocado Hair Mask give you total rebirth as a Queen, ending Organic Avocado Body Cream to deeply moisturize your skin. Pamper and recharge your energy! Start with a Lemongrass Foot Bath, then a Full Body Mask using Organic Water lily rejuvenate your skin. Then pamper yourself in a luscious Floral Bath with luxury jacuzzi. An Ultimate Full Body Massage, of your choice, follows then, Rejuvenate your face with Pevonia Organic Water lily facial for youthful, lastly nourishing your hair with Organic Avocado Hair Mask and ending silky Organic Water lily Body Cream to deeply moisturize your skin all over.